The symbol enjoyed an action-packed week in Yorkshire, travelling around the region and starting many conversations! 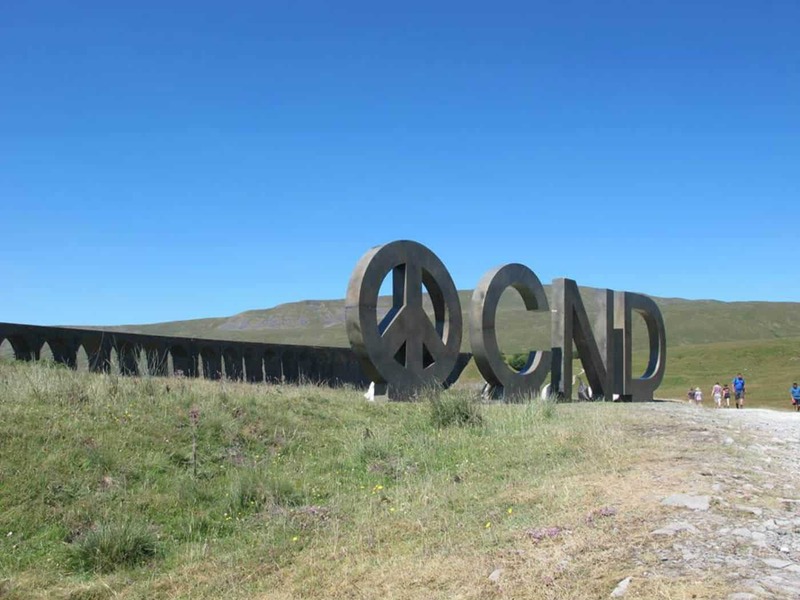 It started the week at Ribblehead viaduct with Grassington Peace Group before joining the ‘Independence from America Day’ demonstration at Menwith Hill with the Menwith Hill accountabilty campaign. It celebrated the NHS’s 70th birthday in front of York Minster and then went on to Todmorden with Calder Valley Justice and Peace Group. 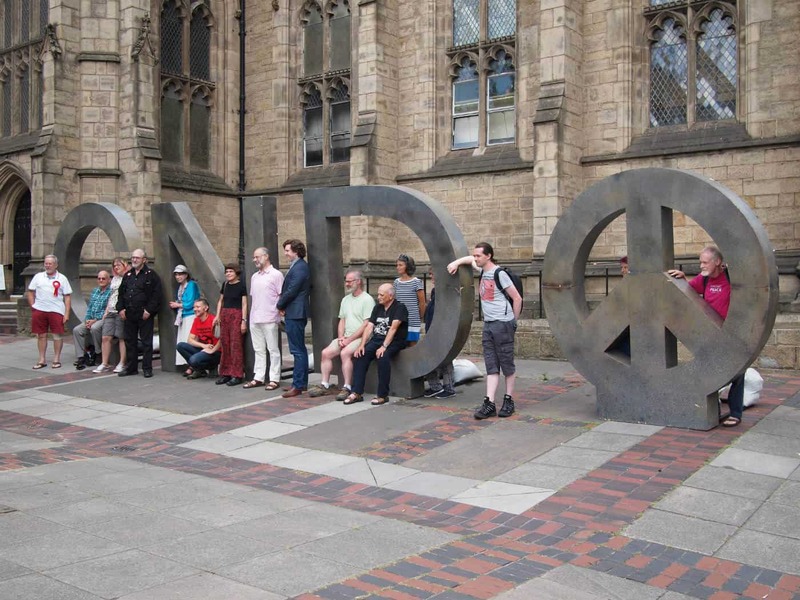 The symbol also made an appearance at the Peace Museum for the launch of a new Kirkgate popup gallery, and then finished the week outside Mills Hill Chapel in Leeds for the ‘Jobs not Bombs’ conference with Fabian Hamilton MP and others. A busy week indeed! The tour was covered extensively in local media, including the Telegraph & Argus, the Ilkley Gazette and the Craven Herald & Pioneer.